Congratulations to all the students and their families who received Leaving Cert results. A wonderful set of results that will open many options for each student. The wait for Leaving Certs results ended for 105 Confey College students at 9.30am on Wednesday 15th of August. Mike O’Byrne, Principal, congratulated staff and students for the results achieved by the Leaving Cert class of 2018 He praised the students and their families for the support and consideration they had shown themselves and each other at the time of the exams. 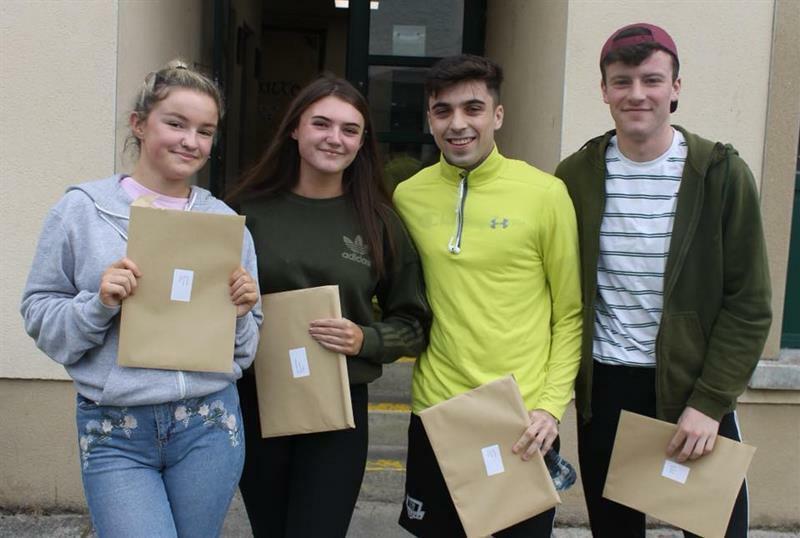 These results will now open many doors for students and students should consider their full range of options including CAO courses, PLC’s, apprenticeships, study abroad and the world of work. We are very pleased with the results achieved in all subject areas. Mary Cullen, Deputy Principal indicated that there has been great personal achievements for students of all abilities in all subject areas. Many students believe they will secure their preferred options for next year. Worthy of special mention are Alex Bourke who received 6 H1 and 2H2 grades (625 points) in his results, Muaid Mustafa (613 points), Daniel Chirokov (601 points), Olayinka Ibrahim (590 points), Eoin Gormley (590 points) and Aoife Davis (589 points). Some 17 students achieved over 500 points and this places them in the top 10%of the 57,000 students who sat the exam. Leaving Certificate students achieved the H1 and H2 grades in 18 subject areas. There were very good results in Irish, English, Maths, Biology, Physics, History, French and Politics and Society. In Irish, 42 students sat the higher level paper and all students achieved honours (grade H5 or better). The Maths results were above the national averages at all levels including 12 students who achieved H1 and H2 grades. Deputy Principal Mr McDonald spoke to students who took the Politics and Society Exam which was being examined for the first time this year. The students were delighted that their hard work and effort were rewarded with excellent results as of the 33 students who took the exam 13 students achieved the H1 or H2 grade. This subject was a great addition to the curriculum with students able to do projects on their local area or school that focused on issues around gender equality, the rights of refugees, the importance of student's voice and the role of exercise in helping students wellbeing. 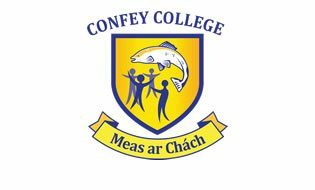 Mr. O’Byrne concluded by thanking the dedicated staff of Confey College for the excellent work they do with the students. 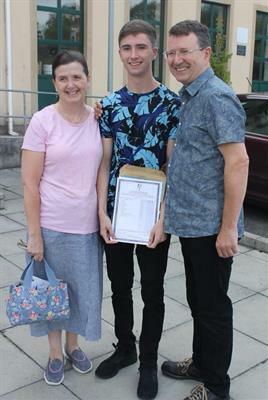 In particular, he thanked the Yearhead Ms Kenny, and guidance counsellors, Ms O’Byrne and Ms Logan for the support and guidance provided to the students throughout the year. He also wished to thank the parents of the students for their continued support in a real team effort to assist students reach their full potential.Now that the wait for the results is over, we wish all students the best of luck in the CAO round one offers on Monday and every success in their future careers.